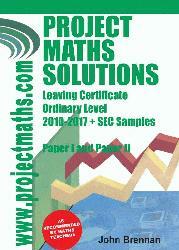 Learn about Project Maths and how to answer the questions. SEC samples and actual papers. 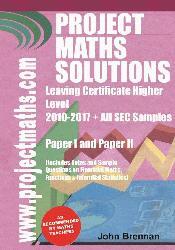 Project Maths Leaving Higher exam solutions. Pupils in my School found out about the book on the Internet now they all have it! …it was like having a teacher beside you while you are studying. ProjectMaths.com Copyright 2018 | All Rights Reserved | Leaving & Junior Cert Solutions, Ballinteer Institute, 16 Ashlawn , Dublin16.